Confession! Meatballs and taco night are a weekly must in our home. Here is a fun recipe combining the two. 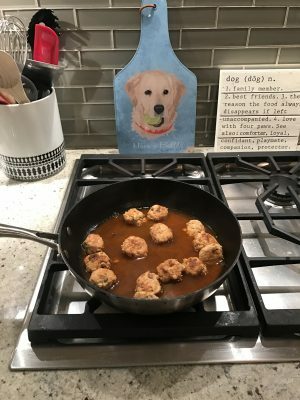 Important dog note for dog owners: This recipe is not good for dogs because it has onions and garlic that are toxic for dogs to eat. They cause GI (gastrointestinal) irritation and red blood cell damage. Also, chipotle peppers are spicy so they are not good for your dog’s GI system. For meatball taco recipe for dogs, click here. Preheat oven to 200°F. Halve and peel onion. Cut half into thin slivers. Grate the other half on coarse holes of a box grater. Finely chop chipotle (1 ½ tablespoons). Very finely chop 1 tortilla. Wrap remaining tortillas in foil and transfer to oven to warm. In a large bowl, combine ground meat, ½ of grated onion, chopped cilantro, chopped tortilla, ½ of cumin, ½ of chopped chipotle (or less if desired), 1 large egg, and season with salt. Using moistened hands, roll into 1½-inch balls. Heat 2 tablespoons olive oil in a medium skillet over medium-high. Add meatballs and cook, turning once or twice, until browned but not cooked through, about 5 minutes. Using a slotted spoon, transfer meatballs to a plate. Pour off fat from skillet and reduce heat to medium. To make the slaw, juice lime. Halve, core, and very thinly slice cabbage. Transfer to a large bowl and add sliced onion, half of the cilantro leaves, lime juice, and 2 tablespoons olive oil. Season with ½ teaspoon salt and pepper. Using your hands, gently squeeze 3 or 4 times to slightly wilt cabbage. Unwrap tortillas and fill with meatballs. 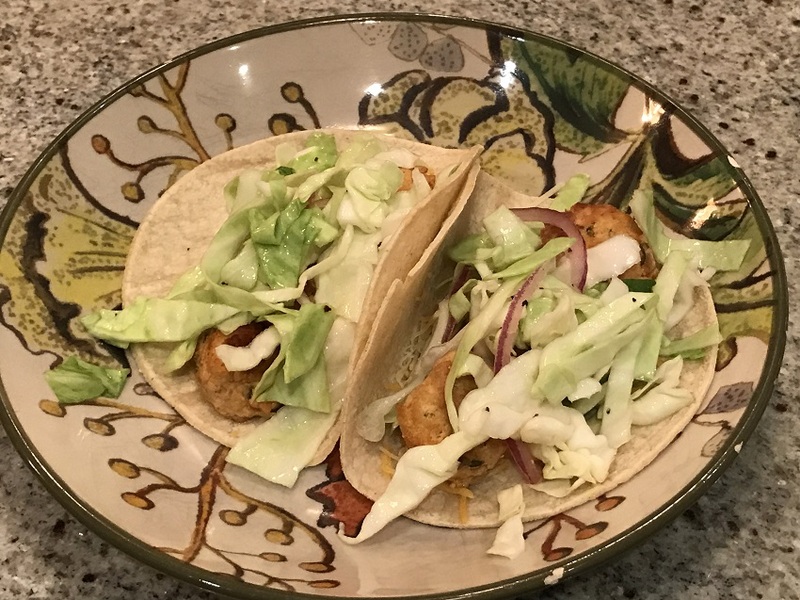 Drizzle sauce on top and garnish with cabbage slaw and remaining cilantro. Enjoy!